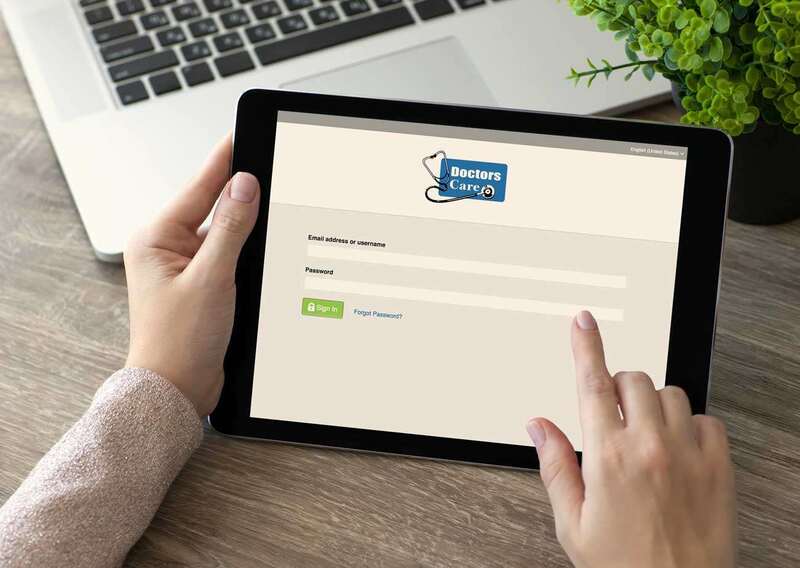 The Doctors Care Patient Portal is easy to use, conveniently accessible from any device connected to the internet, and password protected so your health information remains private and secure. Lab results are posted within 72 hours; simply log in to your Doctors Care Patient Portal account to find that information and more. By creating a Doctors Care Patient Portal account you’ll have 24/7 access to a wide range of information to help you take an active role in your health care. Why should I use the Doctors Care Patient Portal? The Doctors Care Patient Portal is available to all Doctors Care patients. You can access the Doctors Care Patient Portal from any device with Internet capability to view your personal health information, communicate with your providers, view lab results. It’s easy! Register for an account. Does it cost anything to use the Doctors Care Patient Portal? How soon after I register will my health information be there? Your visit information should be available within 12 hours of your visit. Lab results will take up 72 hours to display. When can I expect a reply to health messages I send to my doctor’s office through the Doctors Care Patient Portal? You will receive an answer within three business days. The Doctors Care Patient Portal should not be used for urgent situations. Will any of my previous health information be available? You can contact Patient Portal support 24/7, by calling 877-621-8014. Why is Cerner/IQHealth referenced on the website? Cerner/IQHealth are companies we use to securely manage your electronic medical record information. The Doctors Care Patient Portal is a customized system that enables you to interact with this medical record system. How secure is the Doctors Care Patient Portal? The Doctors Care Patient Portal is encrypted and password protected, so your health information remains secure. Can I access my child’s or parent’s health information? Yes. Access can be granted to parents of children under age 18, as well as caregivers of elderly patients. Just contact the front desk staff at the practice. A unique email address is required for each person. Please note that proxy access to a child’s account will expire when he or she turns 18, and the child will need to create his or her own account. Who else will have access to my information? Only you and those to whom you grant access will have access to your information. The Doctors Care Patient Portal is encrypted and password-protected for your privacy and protection.